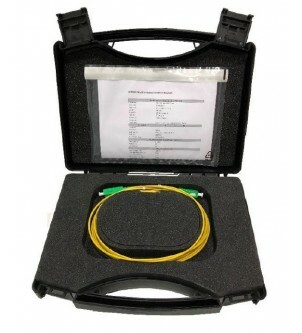 Mandatory accessory in case of OTDR measurement, the fiber optic launch cable are put on each side of the fiber optic link under test, allowing the OTDR to measure the loss of the fiber optic connectors on each side. Launch cable boxes Compare these productsThere are 2 products. 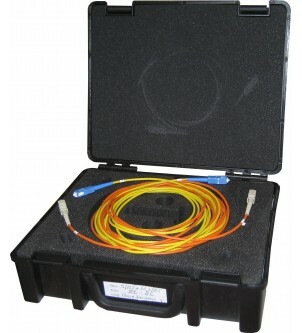 Compact launch cable box for OTDR measurement. Thanks to its small size, the compact launch cable boxes are easy to pack away in OTDR soft cases. Available with or without a splicing system. Double the capacity of your launch cable by incorporating, for example, 1 km of singlemode and 500 m of multimode cable via its double cabling system.